Danielle and Christopher’s Clearwater Beach destination wedding featured a bright color palette, beach ball ceremony exit and stunning sunset wedding portraits. 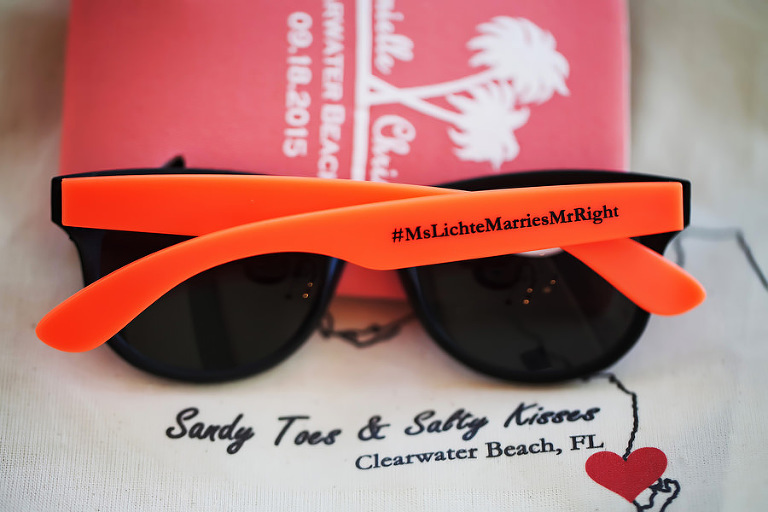 The New York couple chose Clearwater Beach for their destination wedding because the bride’s family has a second home in Tampa. 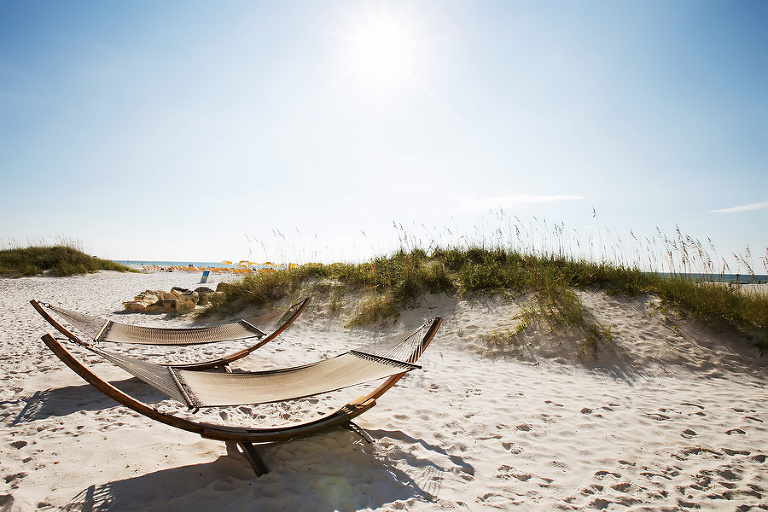 “Ninety-five percent of our guests traveled to Florida for our wedding, so we wanted to make sure that everyone was able to enjoy themselves and have a good time,” Danielle shared. 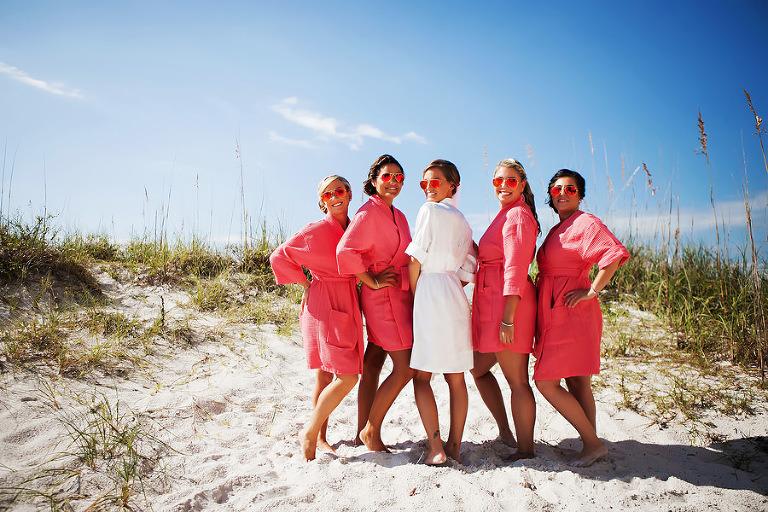 To add those pops of color to their beach ceremony, the pair hired Clearwater wedding florist Iza’s Flowers. When it came to hiring a Clearwater Beach wedding photographer, the pair searched for someone who could blend into the background and let the day organically unfold. We did not know much about flowers. We just wanted a mixture of bright flowers at a reasonable price. 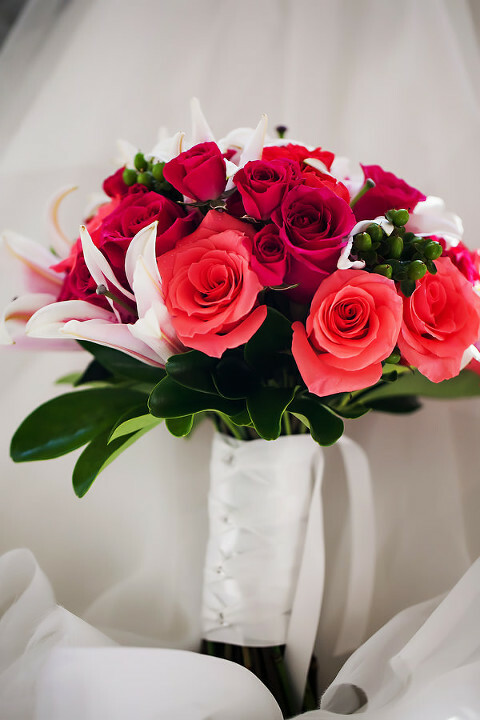 Iza’s Flowers was recommended by my wedding planner, and they were very easy to work with. We did a lot of our communicating through email. Our theme was beachy, laid back. Our colors were coral and tan. We wanted bright colors but also beachy. We wanted a photographer who would capture moments naturally, but that we would forget was there.